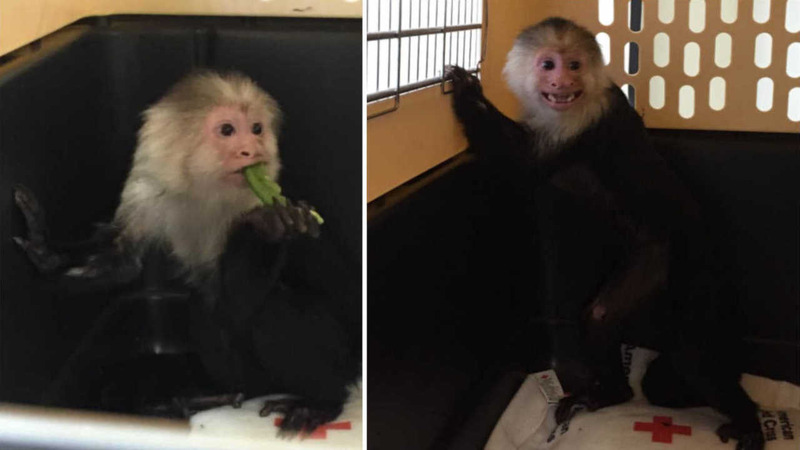 BRENTWOOD, Long Island (WABC) -- A monkey that was seized from a home in Suffolk County after living with its owner for more than two decades will spend the rest of its days at an animal sanctuary. The 22-year-old Capuchin Monkey named 'Luna' was taken from its owner's home in Brentwood on Saturday after authorities received an anonymous tip. Authorities say Capuchin monkeys are illegal to own without a permit. The Suffolk County SPCA says Luna appears healthy. Its owner was cited, and the animal's new home has not yet been selected.